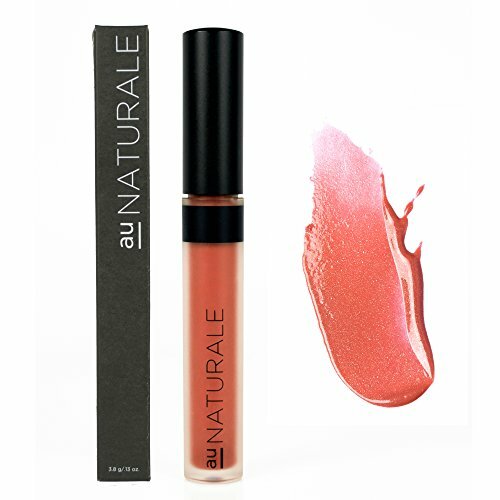 Why we love it: Amplify the shine with these pleasantly pigmented lip glosses from Au Naturale. Featuring an array of creamy pinks, bold magentas, vampy purples and classic reds, each gloss offers hydrating nourishment and a pop of tint. Light shimmer and high shine will keep your pout looking plump. A doe foot applicator makes for smooth application and easy on-the-go touch ups. Available in 14 colors. Formulated without gluten, parabens, fillers, animal by-products, synthetic preservatives or toxins, this lip gloss is 100% natural, cruelty-free, vegan and made in the USA.